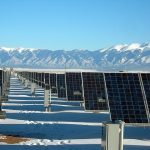 As the global green energy industry grows, emerging industries of countries around the world have been increasingly focusing on energy independence and energy saving. In light of the climbing electricity, fuel prices as well as the low-carbon awareness, electric cars and smart grids have been receiving increasing interest, and the consumer-based market has put more and more emphasis on energy-saving features. With the energy generation and conservation technologies becoming more mature, energy storage system begins to see increasing demand. According to EnergyTrend, a research division of TrendForce, demand from the mobile phone and laptop industries has underpinned the lithium battery industry over the past decades, and the growth momentum in the next ten years for the lithium battery industry is expected to come from both household energy storage system and power battery system. 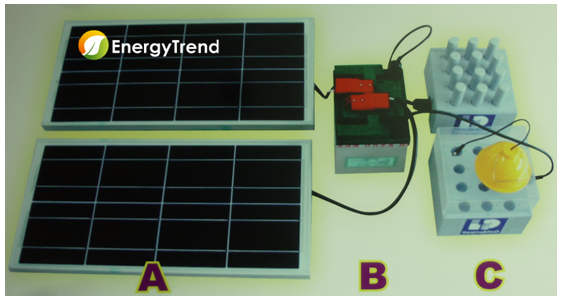 Distributed energy storage system comprises of lithium battery and battery pack; in terms of practical applications, it can be used as lithium battery storage system that serves as either emergency backup power or renewable energy storage system (Figure 1). Considering the backup power feature, the battery system has to be durable enough to bear the sudden high power RF load condition that a short circuit might bring and to operate for an extended period of time, especially for household applications that require backup power supply for several hours or even days. The system might need to sustain even longer duration when operating under unforeseeable emergency circumstances. As for the renewable energy storage system, both the system integration and battery cell are critical to how the system function. A hybrid renewable energy system (HRES) can function both during the day and at night; the system uses renewable energy and minimizes stored energy usage during morning peak hours, while utilizing the electricity from power station at night, evenly allocating the energy use around the clock. Currently the average minimum life-span for renewable energy usage is at least 20 years; therefore, battery performance and design will influence how the battery fits the system for long-term use. In the automobile industry, all components and parts of a car have to be carefully examined and inspected repeatedly. Battery system, in this case, is both cost consuming and may encounter safety issues due special usage, especially when it discharges electricity and recharges in the vehicle. As a battery is made up of materials such as lithium iron and NiCoMn, which each has its own distinct system design features, it will difficult to handle its performance, price and safety all at once. Taking the GM Volt for example, although its battery uses high density battery materials and thermal dissipation system to improve safety, the circuit problem resulted from thermal dissipation system still occurs after the collision test, showing that the price, energy density, and safety concerns are all important factors that could not be neglected. Since most electric vehicles make use of battery cell, its energy density should be raised above 130Wh/kg, electricity capacity more than 10kWh and DOD (Depth of Discharge) and SOC (State of Charge)maintained at around 10~90% to increase battery efficiency. All these are important factors and basic requirements for a standard electric vehicle battery to satisfy. The lithium batteries electricity discharge curve is flatter; therefore it will be more difficult to design its large-scale battery module (Figure 2). Founded in 2009 and being one of the first-tier manufacturers, Chang Hong focuses on developing lithium battery using the LFPO (Lithium Iron Phosphorous Oxide) cathode material supplied by CAEC. Chang Hong makes use of aqueous and stacking process on its production line that not only ensure less pollution and greater safety but also suits stand alone mode energy storage and applicable for automobile industry compared to other manufacturing process. According to the company, currently there are not many battery makers manufacturing the anode/cathode battery material through aqueous process, Chang Hong is the only maker that have successfully manufactured 50Ah high capacity battery. 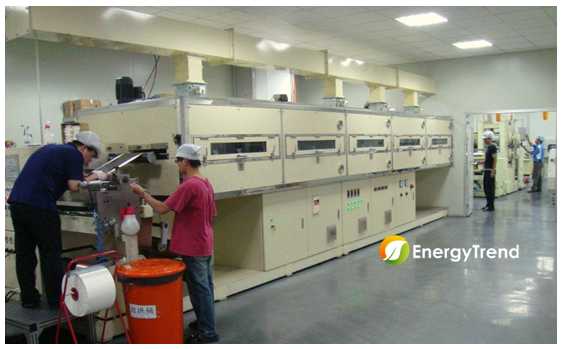 Chang Hong Energy engages in small-scale production, having a capacity of about 500kAh/m, it is estimated that the new factory built after Q2 2013 will raise the capacity to 8Mah/m. There will be a total of four production lines running by 2016, bringing the monthly capacity to 32.5MAh/m. By then, Chang Hong will be the largest base that manufactures LFPO battery cell in the world. Currently, the company’s battery is applicable for both electric vehicle and the energy storage system. The company has gained valuable experience through continuous tests and experiments on its products, showing positive results on both UPS and energy storage system. Chang Hong cooperates with several provinces in China on state grid projects, making use of wind and light to run the 2.5kW renewable energy storage system. Also, the company has entered the Japanese market to further expand its energy storage system, which includes 3kW and 5kW, in the residential market. In order to verify lithium battery’s durability in the larger scale vehicle, Chang Hong aggressively participates in the electric vehicle market development. 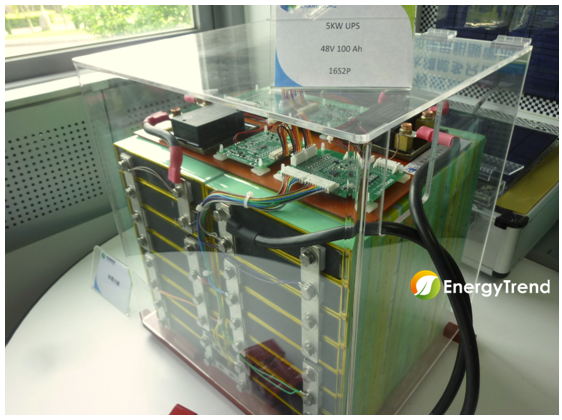 Chang Hong’s battery energy capacity has reached 50Ah and simply requires a circuit design with more series and less parallel circuits to be utilized in the automotive module field, effectively simplifying the module’s power management. 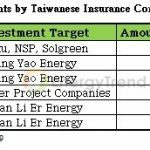 As international car manufacturers currently dominate over the battery industry, it is not fully suitable for Taiwan’s battery industry production capacity and scale. In addition, time certification and data collection are needed when battery is applied in the automotive market industry. Therefore, how quickly the certification is varified in the automotive application has become an important issue at this stage. 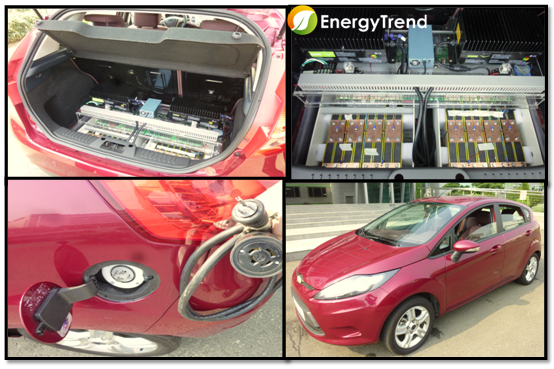 Chang Hong adopted a diverse electric vehicle business development, not only cooperates with car makers and perform sampling certification, but also collaborate with power system manufacturers by remodeling current vehicle, compiling data, and verifying component certificate. In addition, Chang Hong have just successfully collaborated with Chairman Jiang of Hong Yu to develop BEV (10KWh, 96V 100Ah) (Figure 2), which can travel the furthest 100km at 120km/h. The highest output current can reach 300 Ah. This system is self-made electric machinery, though high efficient feedback device and high efficient BMS design. In addition, 50 horsepower electric motor, 64 battery cells in two standalone battery modules are covered. The weight of the total battery pack is around 77.3 kg, including 2 sets of 25A chargers. 110V/220V standard voltage can be used in household, and charging time is around four to ten hours (for slow charging). Recently, the BEV has been delivered to Taiwan and the trail plan is in progress. It is anticipated that after compiling all data, the product will be fully promoted to car makers.